Bad beat jackpots have been in the news lately and today we continue that trend with not one, but two BBJ-related articles. In this first one, a poker dealer and player were arrested in Louisiana’s Jefferson Parish for conspiring to rig the Boomtown Casino’s bad beat jackpot. 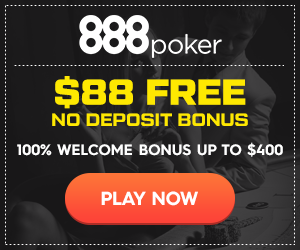 As readers of this site probably know quite well, at a bad beat jackpot table, an additional rake is taken to fund a progressive jackpot. The jackpot is triggered when a player loses at showdown with an extremely strong hand. We don’t know what Boomtown’s rules are, but the minimum hand is usually quads or better, sometimes as low as Aces over Kings or better and sometimes as high as quad Jacks or better. In any case, both the winning and losing hands generally need to use both hole cards and a certain number of players must be dealt into the hand. There is no dispute as to whether or not the bad beat jackpot hit at Boomtown Casino in January; the problem was that it was not hit honestly. According to investigators, it was determined that Solomon and Foret had concocted a plan ahead of time in which Solomon would set the deck and deal a hand which would trigger the bad beat jackpot assuming all players played a in predictable manner. He gave the monster losing hand to Foret and the winning hand to someone else, who was not involved in the scheme. The investigation began on January 19, 2018, when detectives were notified by the casino staff related to several inconsistencies with a “Bad Beat” poker game, with a jackpot of $166,471.00. The investigation revealed that Solomon was the poker dealer and intentionally stacked the deck of cards for a favorable outcome. Solomon then conducted two false shuffles. The second false shuffle resulted in a “Bad Beat” jackpot. Foret was one of the players at the table and the recipient of the larger “Bad Beat” jackpot. The investigation later revealed that Solomon had communicated with Foret prior to and after the poker game. Detectives obtained arrest warrants for both individuals on February 5, 2018. Both individuals were booked into the Jefferson Parish Correctional Center. Needless to say, the jackpot was not paid out; one would hope the hand’s winner understands. It has continued to build from its pre-cheat level. It has not been explained how Solomon was able to arrange the deck without initial detection, nor was it explained how the “inconsistencies” were suspected before the investigation commenced and before security camera footage was likely reviewed.